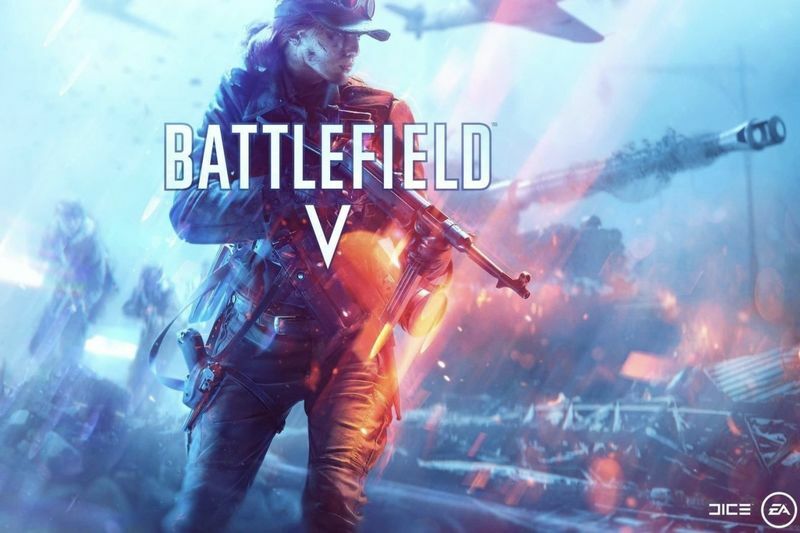 Battlefield V or Battlefield 5 is an upcoming first-person shooter video game developed by EA DICE and published by Electronic Arts. Battlefield V is the sixteenth instalment in the Battlefield series. It will be released worldwide for Microsoft Windows, PlayStation 4, and Xbox One on November 20, 2018. The game will continue on from its precursor Battlefield I by focusing on World War II. As a means of compensating players for their patience, DICE will give players two free in-game items – so long as they sign-in during its first week of release. Announced via Twitter, the developer's general manager, Oscar Gabrielson, says early adopters will receive the Oscar Mike Helmet and Oscar Mike Emblem. A coinciding press release says the names of the items derive from "military radio jargon used on the front lines." Logging on during week one will see the items appear as shipments in the Armory. DICE has also clarified an important question about the netcode of Battlefield V. They want to launch the game with 60Hz server tickrate on Pc, 30Hz on PS4 and Xbox One. Netcode in multiplayer games has been on the minds of shooter fans these past few days thanks to the discovery that Call of Duty: Black Ops 4 is running at 20Hz tickrate in multiplayer. With Battlefield V being the other big shooter releasing this year, it got fans wondering if DICE could clarify this important detail head of launch. The number of players in Conquest, coupled with the weaker CPUs in consoles compared to PCs is one of the reasons why the tickrate target is lower on PS4 and Xbox One. That said, Battlefield I’s netcode is widely considered DICE’s best ever, and among the best in today’s multiplayer shooters, so replicating Battlefield I’s setup sounds great. Battle Royale video games have quickly become the most popular sub-genre of first-person shooters, fuelled by the popularity of Fortnite: Battle Royale and PlayerUnknown's Battlegrounds. Now Battlefield V is also getting its battle royale mode in March 2019, DICE announced. In a post on EA's website, DICE said Firestorm, Battlefield V's battle royale mode, kicks off as part of new content coming to the game during spring 2019 - four months after the World War II shooter launches proper. Firestorm, which is developed in part by UK studio Criterion, includes a shrinking battlefield, vehicles and destruction. 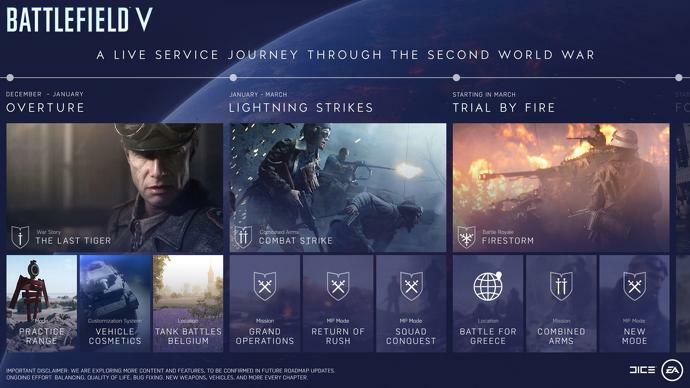 DICE outlined its planned post-launch roadmap today, signalling the new content coming to Battlefield V as part of its live service, dubbed Tides of War. Tides of War kicks off around two weeks after Battlefield V comes out in November with the Panzerstorm map, and single-player mission The Last Tiger (the one that lets you play from the German perspective). At some point between early December 2018 and January 2019, Dice will add the initial iteration of Practice Range to Battlefield. "A seat of learning or just messing around, this area will contain trials to work on your shooting, driving, and flying," DICE explained. "Based on the Hamada map, this is an environment that can't kill you – until someone finds the Friendly Fire button, that is." Vehicle customisation, which includes items such as tank skins, begins during this period. Battlefield V is out November 20 on PC, PS4, and Xbox One.